Manuel Bevand raised to 40,000 in the cutoff, Antonio Esfandiari three-bet to 102,000 from the big blind and Bevand folded. Then Bevand tried again, this time from the hijack, and Esfandiari once again raised the stakes by making it 102,000 from the small blind. This time Bevand moved all-in and Esfandiari called. A quick glance at the PokerNews odds calculator shows the pre flop odds. 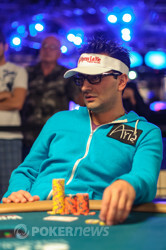 The flop was and Esfandiari's pose still looked confident. The turn card was the and any jack would now fill up a straight for Bevand. 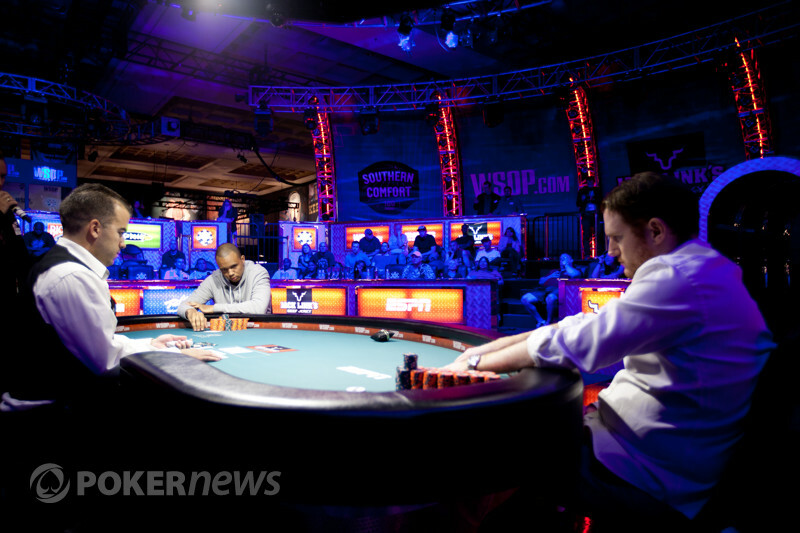 Then the river delivered a punch right to the heart of the former WSOP bracelet winner . "Dammit," said Esfandiari before composing himself to shake everyone's hand. It's a shame to see The Magician leave because he would have been a great spectacle at the final table.